Back during the summer of 2011 the world was shocked to hear that Google was buying cell phone manufacturer Motorola. Yes we all know that Motorola is a communications company and makes a lot more than phones, but stripped down to the bare bones in 2011 it was and still is a cell phone company. It’s a cell phone company with a heckuva lot of patents..
As the stories began to unfold and the deal got closer to closing it was quickly revealed that Google was after Motorola’s treasure trove of patents. It also helps that Motorola was already producing Android phones. The problem at the time was that they hadn’t had an Android mega-hit since the release of the original Motorola Droid on Verizon Wireless. Now Microsoft, a company that would like to think they still compete with Google, is also looking to close their deal to purchase a cell phone company, or at least the hardware component of that company. Back in September it was announced that Microsoft would acquire the hardware portion of Nokia the finnish company that has been their partner on multiple Windows Phone releases. Like Motorola, Nokia holds onto a sizable patent portfolio. Microsoft may be looking at their patent portfolio but in this case they are also looking to bring the production of their flagship smartphones under the Microsoft roof, similar to the way they have the Surface, Surface Pro and Surface Pro 2 tablets in house. Reuters is reporting that Nokia’s Board of Directors approved the sale this morning (Finnish time). Nokia investors are hoping to see “a meaningful portion of the excess” returned to them, said investor Daniel Loeb. 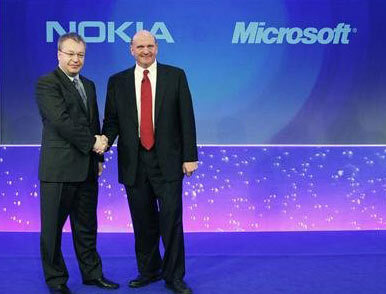 Nokia’s former CEO Stephen Elop was a Microsoft executive before taking the CEO position at Nokia. Three years ago when Nokia announced that they would move forward with the Windows Phone operating system instead of Android, vacating the Symbian platform at the same time, Elop stepped down from his position. In an interesting turn of events Elop is expected to return to Microsoft and is the front runner in their CEO search to replace Steve Ballmer. Microsoft is paying $7.36 billion dollars for Nokia’s handset business, despite the fact that this acquisition may not jive with a more software focused strategy that Microsoft is reportedly considering.